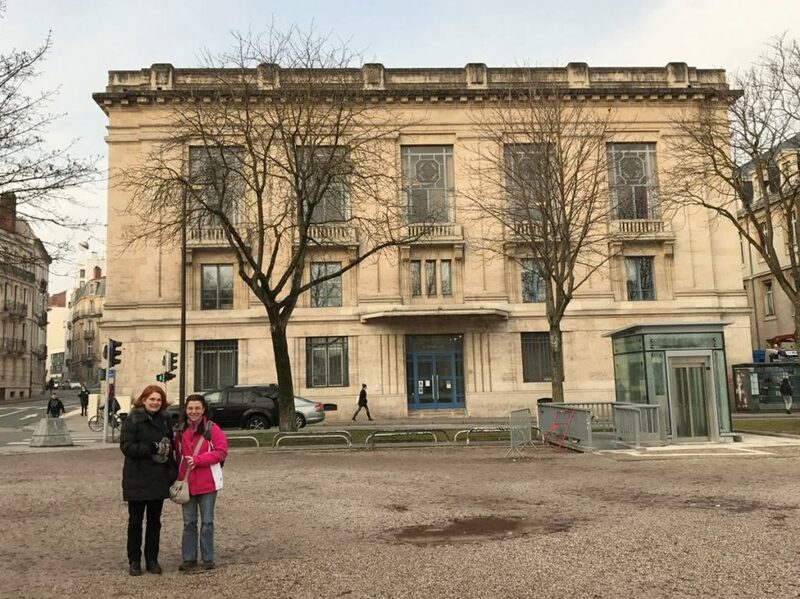 In February 2017, we visited Nancy, France, to study the Burnouf archive, which is kept at the University of Lorraine Library. In cooperation with Sylvie Bouchoule, Library and Documentation Officer, we went over Burnouf's notes and drawings, and we had the pleasure of admiring his watercolors, especially from the Klepsydra fountain and the O. Androutsos bastion on the Acropolis. In the library we also saw the map of the ancient remains and churches of Athens, designed by Burnouf during his stay in Athens, and we met Guy Vottéro, Professor of Linguistics of ancient languages at the University of Lorraine, who took the initiative to conserve and rescue this important map.